You may have heard about the recent ignition switch recall by General Motors. http://www.gm.com/ignition-switch-recall.html. Such product recalls are not uncommon and the chances are that you have received a letter at some point in your life informing you that a product you have purchased has been recalled. 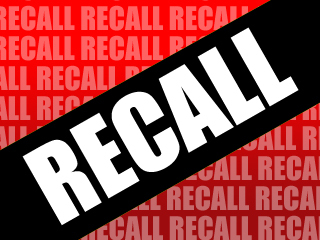 If you or someone you know has been injured by a recalled product, merely sending the product back for a replacement or refund is unlikely to be an adequate response. Rather, an individual injured by a recalled product is likely entitled to greater compensation under the law. This likelihood is particularly true because large corporations that produce defective products normally carry large insurance policies for the benefit of the consumers that their products might injure. If you or someone you know has been injured by a recalled or defective product, you deserve to understand the full extent of your legal rights and the compensation you may be entitled to receive. In such cases, you may be subject to a pressing statute of limitations (the deadline to make a claim), or you may be at risk of losing evidence critical to your case; therefore, it is essential that you act quickly to preserve your rights. The attorneys at Fears | Nachawati are national leaders in product recall cases and will be happy to assist you. For a free attorney consultation, please call 1.866.705.7584 or send an email to mn@fnlawfirm.com.